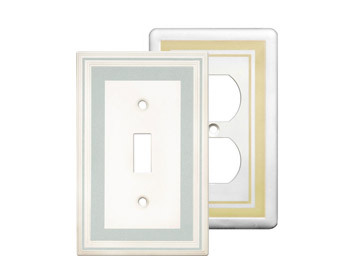 Color Accents wall plates are designed to complement both your paint colors as well as decorative elements in the room. Color Accents wall plates are permanently protected by Q-Seal™, a superior scratch resistant, anti-bacterial coating providing protection from fingerprints, smuges and stains. Available in 4 colors: cool blue, beige, sage and grey.